This page is for the Dormir song titled αρχη. For the モリモリあつし vs. uma song of a similar title that appears in MÚSECA, please see Ärche. 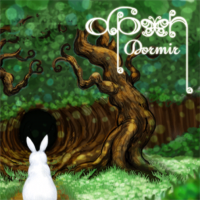 A long version of αρχη can be found on Dormir's album, Petit March. The pop'n music series use a short edit of this version of αρχη. DanceDanceRevolution Winx Club uses a shorter version of αρχη. Pronounced "arche", αρχη is the Greek word for "origin." It is also the name of a Muse in Greek Mythology as well as one of Jupiter's moons. αρχη is GuitarFreaks V3 & DrumMania V3's ENCORE STAGE at Extra Level 2. At Extra Level 3, αρχη was moved down to EXTRA STAGE. αρχη becames playable in Standard Mode at Extra Level 9, the game's final Extra Level, by playing αρχη as EXTRA STAGE. On the console version of GuitarFreaks V3 & DrumMania V3, αρχη starts as the game's PREMIUM ENCORE STAGE at Extra Level 1, moving down to ENCORE STAGE at Extra Level 2 and EXTRA STAGE at Extra Level 3. At Extra Level 4, αρχη becomes available in Standard Mode on all stages. Since the inception of the Extra Rush system in GuitarFreaks V3 & DrumMania V3, αρχη is the only EXTRA/ENCORE STAGE song Tomosuke Funaki has composed for the GuitarFreaks & DrumMania series. αρχη is available in GuitarFreaksXG & DrumManiaXG as an unlockable song in JukeBox #2 (June 9th, 2010). As of August 13th, 2010, it has been automatically unlocked into Standard Mode. αρχη received an EASY chart in pop'n music Sunny Park, replacing its old 5-Buttons chart. DanceDanceRevolution difficulty rated from 1 to 9 in DanceDanceRevolution Winx Club. GF/DM difficulty rated from 1 to 99. ※ The notecount of this chart is different from the old 5-Buttons chart (total notes: 199).